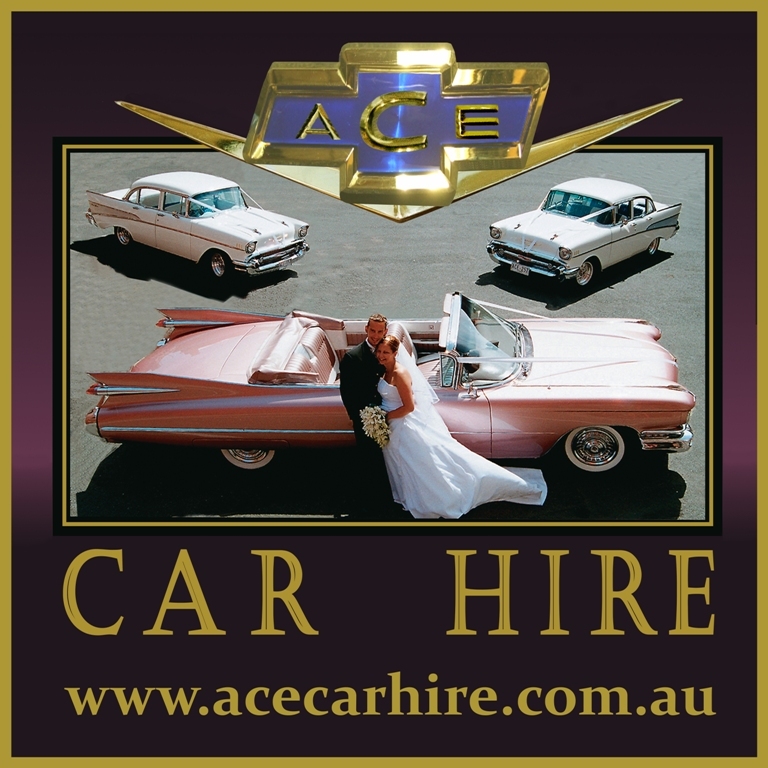 Experience just a taste of the glamour of the 1950s when you arrive in style at your wedding, school formal or other special function in a classic car rental from Ace Car Hire. You’ll adore our range of tastefully modified post-vintage car hire options, including our vintage wedding cars, which add that extra spark to your important event. With Ace Car Hire, you’ll experience total luxury and stellar performance as you’re chauffeur driven around the streets of Melbourne in a classic hire car that takes you back to a bygone era. At Ace Car Hire, we only operate vehicles licenced for hire by the Victorian Taxi Directorate. It is a legal requirement that all of our cars for hire obtain a roadworthy certificate each year. This ensures that our Melbourne clients are always travelling in safe and reliable vehicles, whether you opt for a 57 Chevy or a Cadillac hire. Our chauffeurs also carry an additional driver’s certificate issued by Vic Roads, allowing them to legally drive our vehicles. No matter what the occasion, Ace Car Hire provides all clientele with expert knowledge, experience, reliability, service and advice and has done for over 20 years. For a truly unique and unforgettable classic car hire experience in Melbourne, call Ace Car Hire today on (03) 9305 1957.